At the first treatment I explore your ‘body history’ and the areas of discomfort and pain within your body. From this, I can assess your needs, treat you holistically and provide you with the tools to continue to heal yourself. Bodywork can be an excellent drug free way of treating pain. Combining it with other investigative techniques can be even more effective. Bodywork can help with a range of conditions. If your condition is not listed here, please speak to Kay to find out if she can help you. Find out what to expect from your first session with Kay. What to wear, how long it lasts, what to expect in terms of improvement, frequency, pain and more. My goal is to help you discover what it is and to restore your body to its natural, healthy state. I have discovered through my work with a broad range of clients, that using a combination of mind and body techniques opens the way to very powerful and successful treatment experiences. This approach to treatment can result in decreased pain and discomfort, freer movement within the body, as well as healthier lifestyle and positive emotional changes. Sports massage therapy helps to alleviate the stress, pain and tension which builds up in the body’s soft tissues during physical activity. It can lead to very effective recovery and enhanced performance. Trigger point therapy can really help with decreasing pain and is a natural, drug-free way of managing pain and stress. The good news is that you can learn to do trigger point therapy on yourself. It is simple, easy and effective. 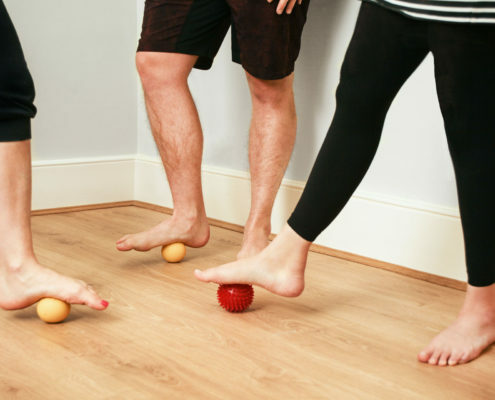 Myofascial Release (MFR) can alleviate tension, restrictions and adhesions in order to restore balance and function. It is used for the effective treatment and rehabilitation of soft tissue and fascial aches, pains, tension and restrictions. 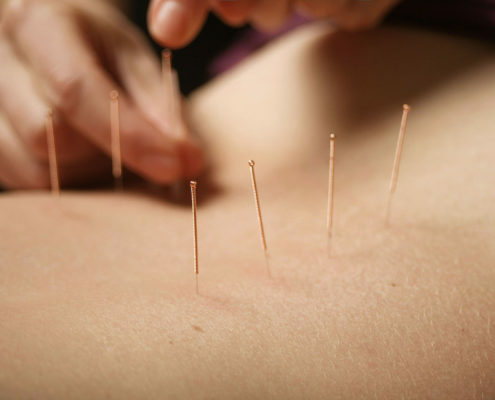 Acupuncture involves the insertion of fine needles into trigger points within a muscle to release tension and pain, resulting in relaxation during treatment, and powerful results afterwards. Emotional Freedom Technique works by releasing blockages within the energy system which are the source of emotional intensity and discomfort. My bespoke workshops are tailor-made to suit you. Education, creativity, treatment, talking therapy and ‘you time’ are key to decreasing your pain levels and increasing your quality of life. Find out what Kay Shore’s Massage & Bodywork can do for you! For group workshops please speak to Kay to discuss pricing. For 1-1 workshops prices will be based on the hourly rate of £60. I believe what makes Kay different from other Massage Therapists and Bodyworkers is her intuitive ability to know where there is a problem in the body and how to treat it; I would not go to anyone else for my own treatments, or let anyone else treat my daughter. Kay has a gift! Kay has been helping and supporting my strength & conditioning training for over a year now and I’m truly thankful. Her treatments are always exactly what’s needed – whether working on old injuries, current niggles or simply better movement. There’s a quantitative feel & ‘train better’ that comes from seeing Kay, are you ready? I’ve now been seeing Kay for a couple of months and with various treatments the results have been amazing not only physically but mentally as well, my back/hip is the best it’s been since I can remember, I’m back light training and work is back to normal. I can’t recommend Kay enough. Brilliant from day 1! Thank you so much Kay. You clearly know your stuff, and I can already see the light at the end of the tunnel! Kay has an incredible intuition and can locate pain and tension that you are unaware exists. She is always very positive, supportive and empowering, offering a very personal, unique approach that incorporates all aspects of life. I cannot recommend Kay enough and do so knowing that any treatment journey with her will be a very positive and successful one. Having had a treatment from Kay, I was impressed with her history taking and her ability to define what I needed. I felt the massage was thorough and she found issues I hadn’t identified and was able to give advice post-treatment. This included stretches and rehab exercises. I am happy to recommend her. I would highly recommend Kay and her treatments; she is very skilled in assessing the areas that need releasing; she has the intuition and sensitivity to know exactly where to work and the pressure required to allow the body to release the tension it is holding. The results for me are greater range of movement and freedom from any pain or restriction when I am running. Kay is a lovely person who listens, considers and only then treats. I will always be grateful to her and hope she will agree to treat me should the need arise in the future. She is a great source of advice and will recommend other therapists should treatment be out of her field of expertise. A Gem! Having undergone several medical procedures to get to the root cause of my pain, it was only when I starting seeing Kay that things progressed. Kay’s sympathetic and caring nature made me feel relaxed whilst being treated. Her knowledge and thinking outside the box improved my symptoms almost immediately! Thank you so much Kay for sorting me out! I am exceptionally happy with the results and relieved that I did not need invasive treatment in order to recover from my injury as my doctor had initially suggested. Kay is a very professional therapist with exceedingly good knowledge in her chosen field. I would recommend her to my friends, family and clients. Sports massage, deep tissue massage, trigger point therapy, myofascial release, table thai, assisted stretching, tool-assisted massage, medical electro-acupuncture and emotional freedom technique.